I’ve fished since I was old enough to throw a rod in the water while trying to cast and have my father go in after it. My three sisters and I grew up fishing the water around Pennsylvania and my mother told me we used to run to the water like we were going to the amusement park. I picked up a fly rod about 10 years ago and started my career as an angling artist a few years later. With a Bachelors of Fine Arts degree from the Rochester Institute of Technology, I feel really lucky to be able to use my degree as a full-time artist and combine my passion for fly fishing and art. You may have seen some of my work on Simms apparel, Abel Reels, Montana Fly Company fly boxes and buffs, and original work on Vedavoo packs.. I enjoy blue line fly fishing for wild and native trout on small water through Western Pennsylvania. I teach, practice, and promote catch and release techniques, proper fish handling and the importance of conservation of our watersheds. Growing up in a commercial fishing family on the Eastern Shore of Maryland, fishing has always been part of my life. I’ve worked as a deckhand and fly fishing guide in Sitka, Alaska, and for eight years I worked for TCO Fly Shop in Pennsylvania. 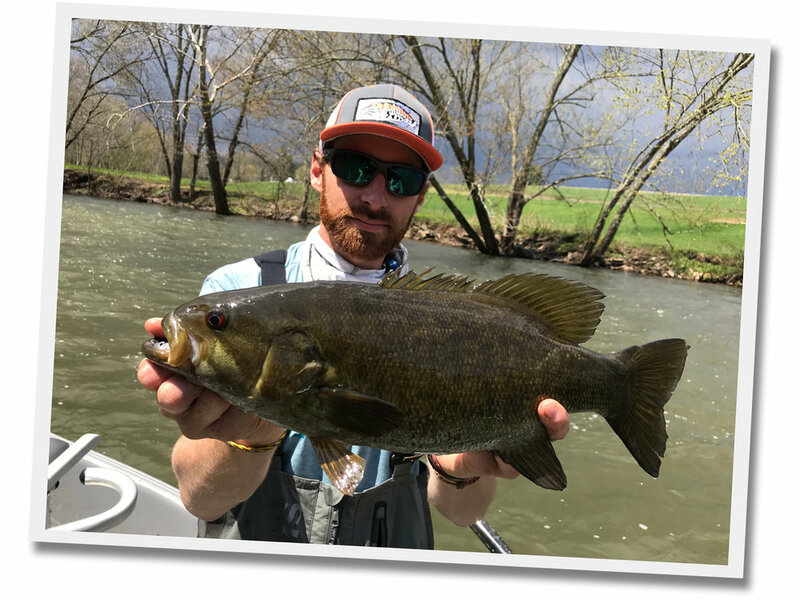 I helped open and manage their newest location in Boiling Springs, Pennsylvania and then I decided to start my own business, Relentless Fly Fishing. I serve as TCO's contract guide service. 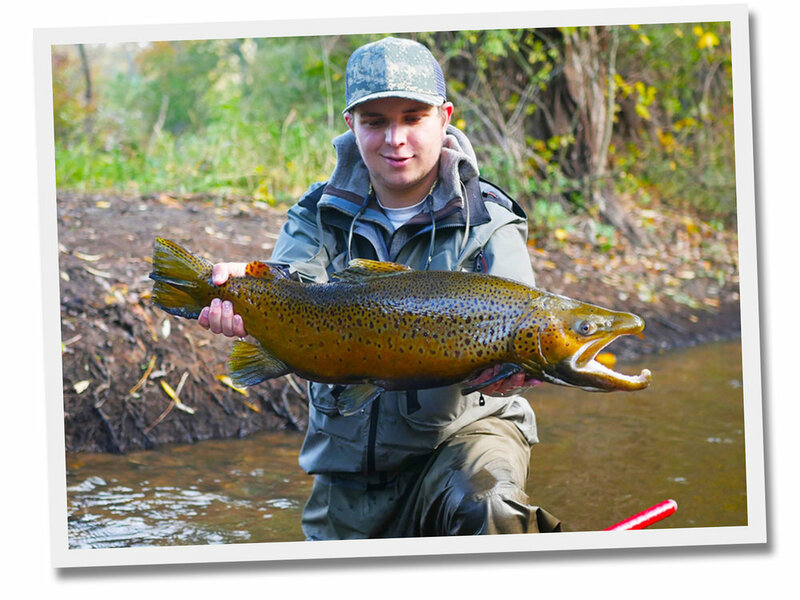 I guide fly fishermen in Pennsylvania and New York for trout, smallmouth, steelhead, and musky. I have a broad network of guides with connections in Ohio, Montana, Michigan, New York, and Alaska. 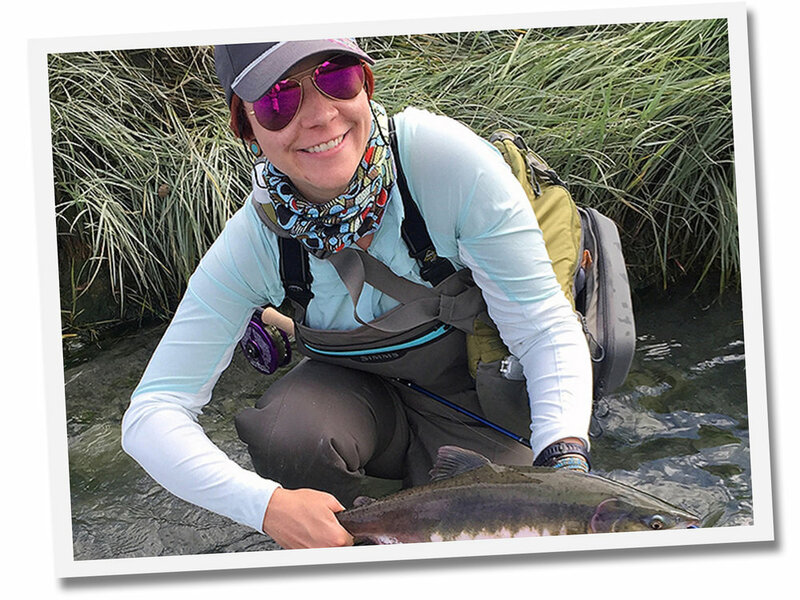 In addition to guiding, I am an Orvis Signature tier, blog-writer, author, fly contributor to Eastern Fly Fishing Magazine, and a pro-staff member of leading industry companies such as Hatch Reels, Winston Fly Rods, Native Sunglasses, Regal Vises, and Partridge of Redditch. My obsession for fly fishing and fly tying has been a never ending passion since 1985. South Dakota is my home and I am blessed to be able to fly fish 205+ days a year from my home waters to Alaska. 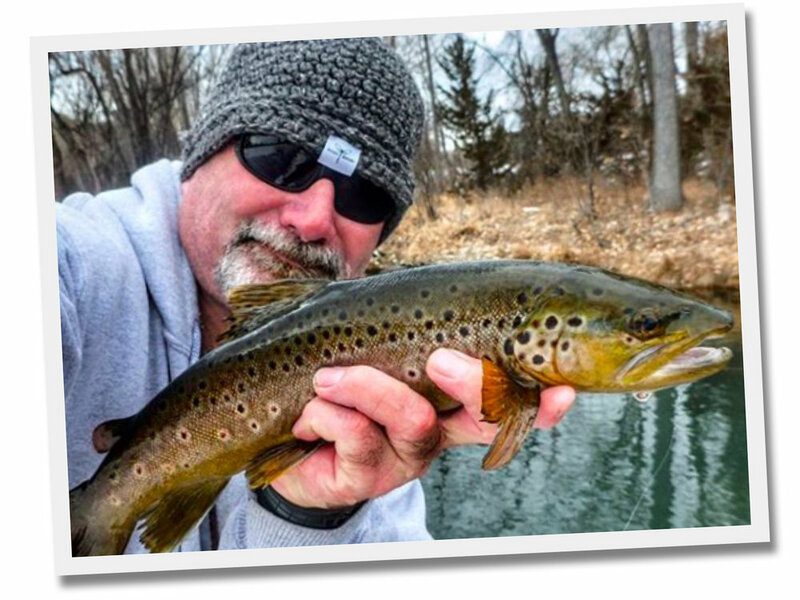 I am co-founder of The TroutMen, an online guide service for all things fly fishing. This forum allows me to extend my passion to others through tips, answering questions, guiding visitors to the Black Hills and providing reports on our local as well as distant waters. 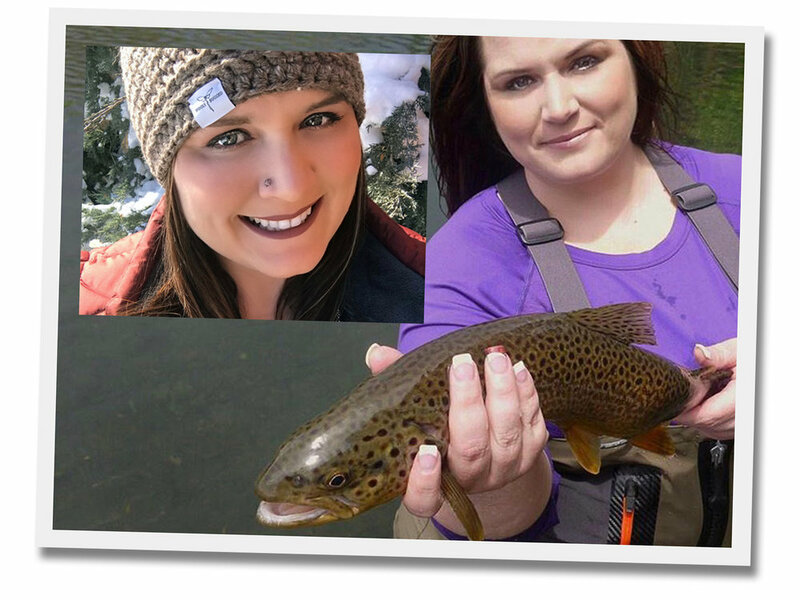 I am an active member/volunteer with the Federation of Fly Fishers, Black Hills Fly Fishers, Trout Unlimited, Bone fish & Tarpon Trust and Project Healing Waters. I was born with a fishing rod in my hand, but not a fly rod, as most would expect! My passion for fishing and the outdoors started with a spinning rod and a Rooster Tail, and I was always following close behind my dad, absorbing everything he had to teach me. It wasn't until a trip to Yellowstone in my early 20s that the art of fly fishing caught my eye. A stop along the Madison River in early September is where it all began. The air was crisp and in the distance a bull elk bedded along the river. I watched in awe as a stranger in waders effortlessly made loops in the air, and then so gently placed his line on the water. I was in love. I drove to the Yellowstone Lake Store, bought a $100 set-up and a 7-day license and I was back in the truck! That’s where my passion, obsession, and addiction started! I have never looked back! Fifteen years and I'm still madly in love with the sport! I fish for trout and warm water species from my home state of South Dakota, and I also annually fish British Columbia and Alaska. I'm always eager to help my fellow anglers. My love of this sport has given me so many opportunities to meet some amazing people. I’ve been fly fishing since the age of 15 and have targeted everything from trout to musky. If it swims and has fins, I’ll catch it. I focus on fishing for trophy size trout and have gone to some extreme measures to catch them. If there’s a body of water from New York to Pennsylvania, chances are you can find me fishing it. In the autumn months I work as a member of the river patrol team at the Douglaston Salmon Run in Pulaski, New York. I am also a student at the State University of New York College of Environmental Science and Forestry studying Aquatic and Fisheries Science.